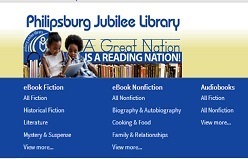 “Book presentation of “Mingi ye mago malbado” to the Philipsburg Jubilee Library by Yolanda Croes. 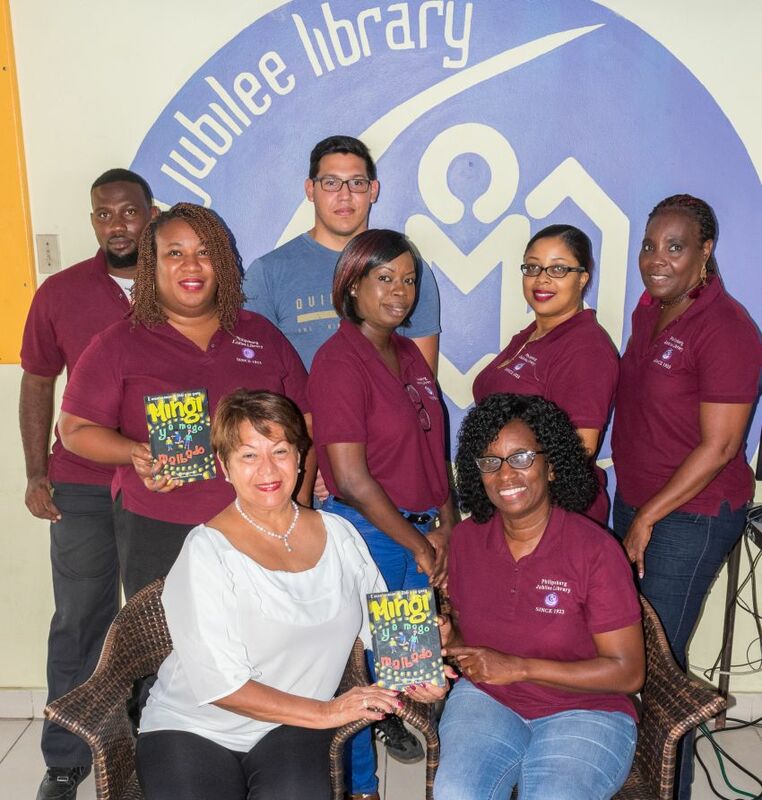 — Aruban author, educator, politician, and translator Yolanda Croes recently presented her first published children’s book “Mingi ye mago malbado” / “Mingi and the wicked wizard” to the Philipsburg Jubilee Library’s Interim Director Irmin Hughes, staff and the general public. Yolanda Margarita Croes is currently living in her Aruba native island. At the age of 15, after receiving a scholarship, she moved to the Netherlands to study at the Teacher’s Academy. Mrs. Croes obtained degrees in Spanish, English and Dutch. 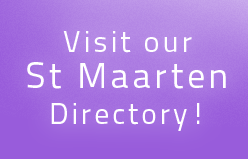 Mrs. Croes has worked as a Home – Economic and Language Teacher in Aruba, Bonaire and St. Maarten. During her St. Maarten years, Yolanda Croes worked at the Sundial School and also as a faculty member at the University of St. Martin, where she assisted in developing the “Dutch as a Second Language” curriculum under the guidance of Dean Wycliffe Smith, present Minister of Education, Culture, Youth and Sports. A copy of “Mingi ye mago malbado” was also presented to the Honorable Mr. Wycliffe Smith to raise awareness for the Papiamento language as it may someday be included in the educational system in St. Maarten. The author stated that her first children’s book in the series “Didi and his gang” came at a time of inactivity or a kind of stillness in her writing, due to a bout of breast cancer as she had no energy to do anything with the story. However, her editor and guardian angel Gina Ramsbottom believed in Mingi and Didi stories, and the bedtime stories that were told to her grandchildren were published. “ Mingi ye mago malbado” a family oriented book and the first in the series from “The adventure of Didi and his gang” which was published in 2017, as part of a large book-writing platform, initiated by Proyecto Idioma den Enseñansa (Project Languages in Education); financed by a division of the Department of Education in Aruba ~ Fondo Desatoyo Aruba (FDA). 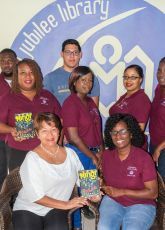 20 authors were selected and 20 books were published in their vernacular Papiamento, and placed in Aruba’s educational system from kindergarten to secondary schools MAVO (TKL), HAVO and VWO. “Mingi ye mago Malbado is written for children ages 10 to 12 years. As a breast-cancer survivor, that now takes life as it comes and makes the best of it, her philosophy being “Be happy and give happiness to others” which is her motivation behind the preservation of the islands national heritage and for the love of her grandchildren Didi, Ziki, Tim-Tim and Xena with her niece Kat who has been her inspiration in writing the children’s series. The author paints a magical world within her written words, however, at the same time pointing out the damage a species-invasion (Boa Constrictor) having a big impact on the island environment. The effects of the alien invaders are both swift and devastating, resulting in the native species decimation and/or extinction. “Mingi ye mago malbado” (“Mingi and the wicked Wizard”) the heroes of the story Didi, Ziki, Tim- Tim and Kat, while playing in their grandmother’s garden, find a magic entrance to a world deep under the ground. The children had to use their own intelligence and special talents to survive and try to save their new friend from a deadly enemy before their world becomes completely extinct. Didi and his gang resolve this problem in a humane and creative manner. Although a book of fiction, it is based on true events. The compelling illustrations in the book are the creations of illustrator and nature advocate, Aruban artist Armando Goedgedrag. It was Yolanda M. Croes’ greatest desire, to offer two copies of her latest work to the Philipsburg Jubilee Library as she presented during the nineties her first novel “Accompanied by an Angel; the tragedy of flight 2000” written in Papiamento , to the then director of the Library Mrs. Blanca Hodge. Now in 2018, to bring awareness to the havoc the invasion of the species (The Boa constrictor) caused in Aruba, has brought the author to write “Mingi ye mago malbado” and also the language used is her beloved native vernacular as a protection and the continuation of “Papiamento” which is spoken by only 300.000 people in the whole world as that also one day might become extinct if it is not preserved and passed down to generations to come, as many languages daily disappear. “Mingi ye mago malbado” (“Mingi and the wicked Wizard”) as a preservation the series is written in Papiamento, however, the author promises that the English translation will be forthcoming for the children of St. Maarten. These books were gratefully received and are added to the Papiamento catalog and will be available at the Philipsburg Jubilee Library in October 2018.